While designing a house, staircase plays a major role in defining the look and comfort of your house. 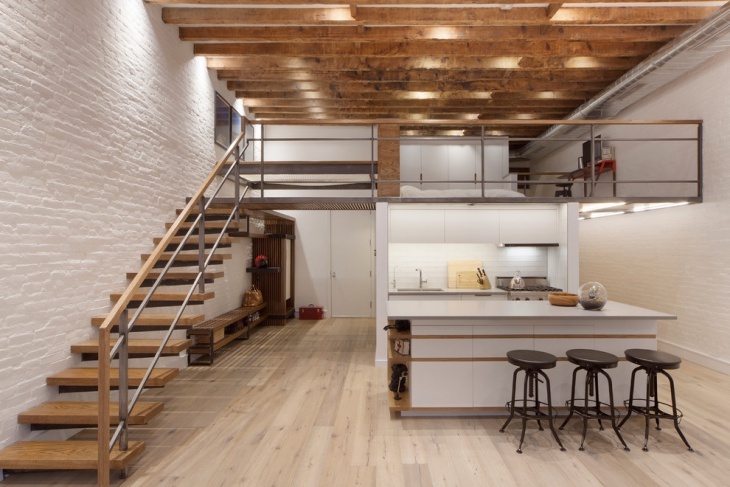 Designing your loft or open space requires a dash of creativity. With some adornments and decorations, you can create a whole new masterpiece. 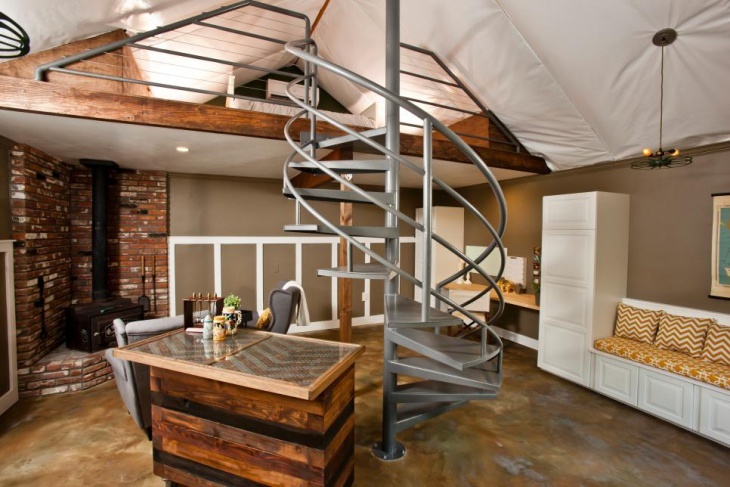 There are several kinds of lofts ranging from cozy attic loft spaces to all kinds of unique loft staircase designs. 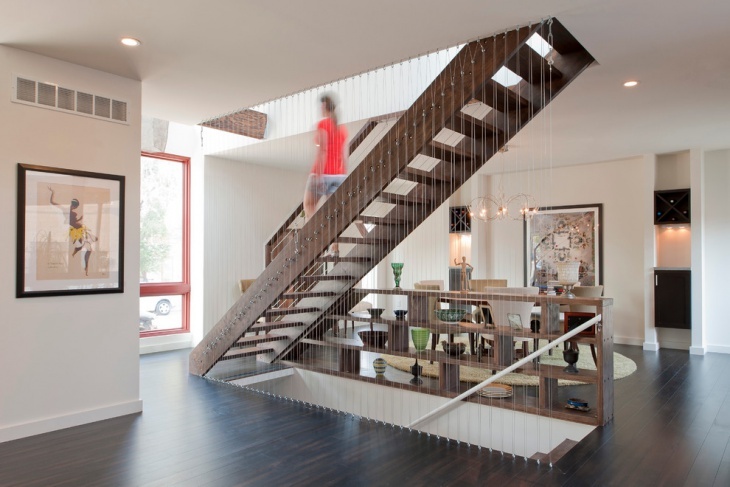 Scroll down to view a list of loft staircase designs which we have carefully selected for you. 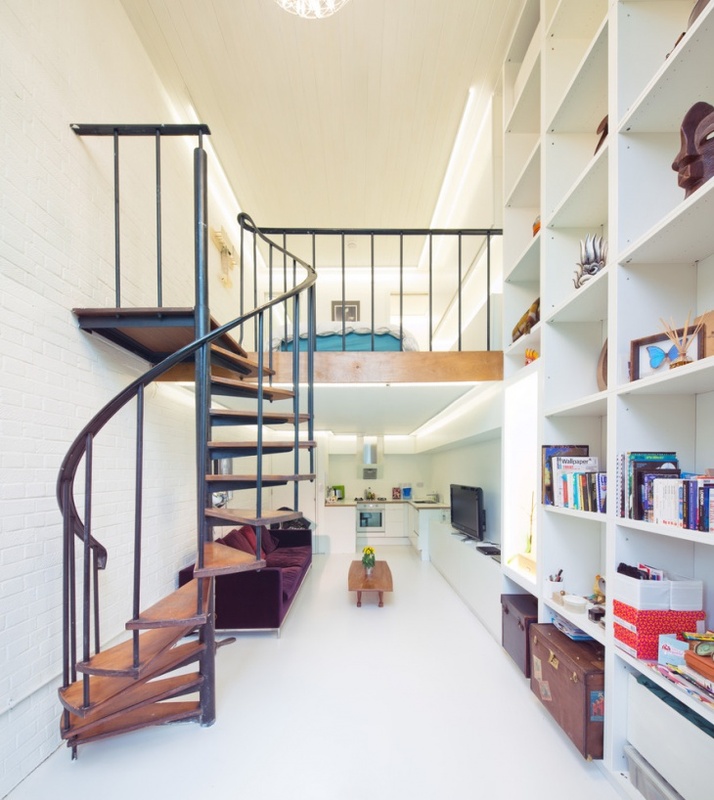 This is one hell of a space saver loft staircase design. 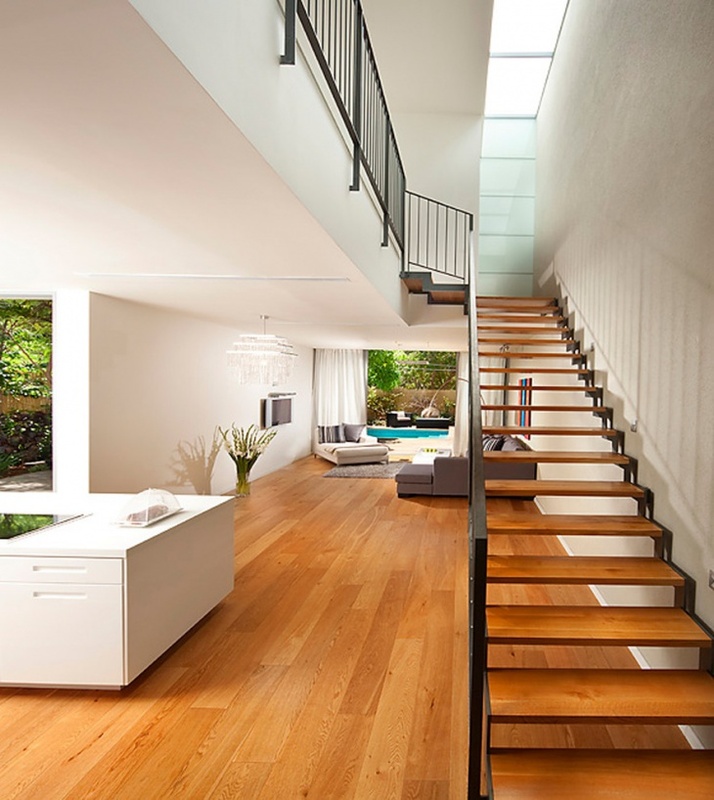 It has a contemporary basement staircase design featuring steep stairs with glass railings. It also features connectors that are made out of stainless steel. This luxurious glass loft staircase has a spiral design which looks very elegant and is ideal for homes with a mix of modern and ancient. It comes with a lovely turquoise color scheme. 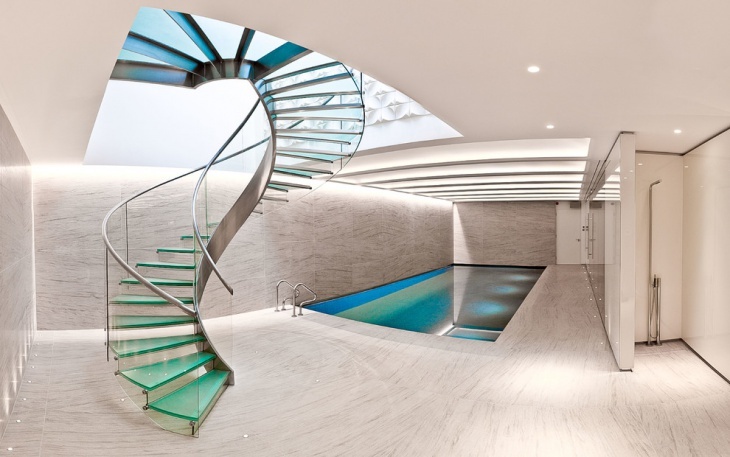 This house features a lavish indoor pool which is at a close distance from the staircase. 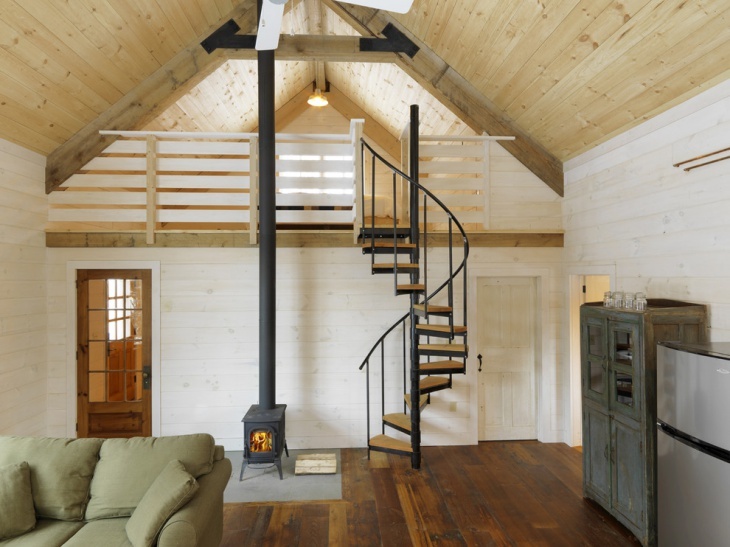 This amazing rustic living room features spiral stairs with a minimal curve and is made out of hardwood in a dark color. This one is an open staircase that connects to the upper portion of the living room. The room has been designed in a cottage style. 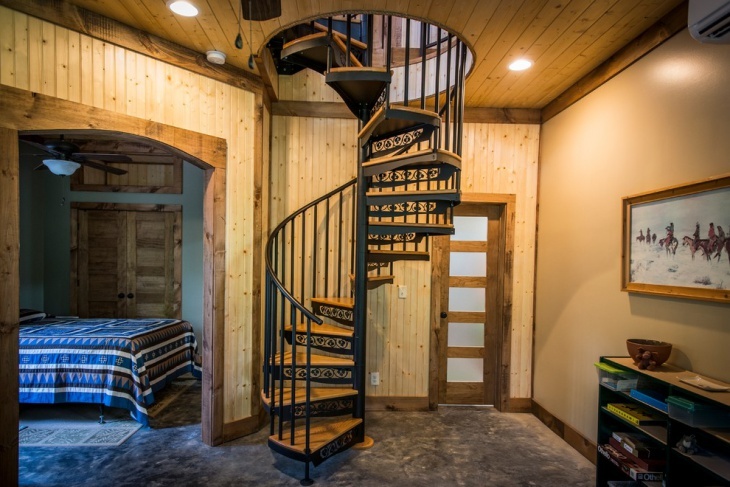 This is another rustic finished room featuring a classic steel spiral staircase. The recessed lighting of the room with the wooden ceilings adds a lot of warmth to the rustic-themed room. 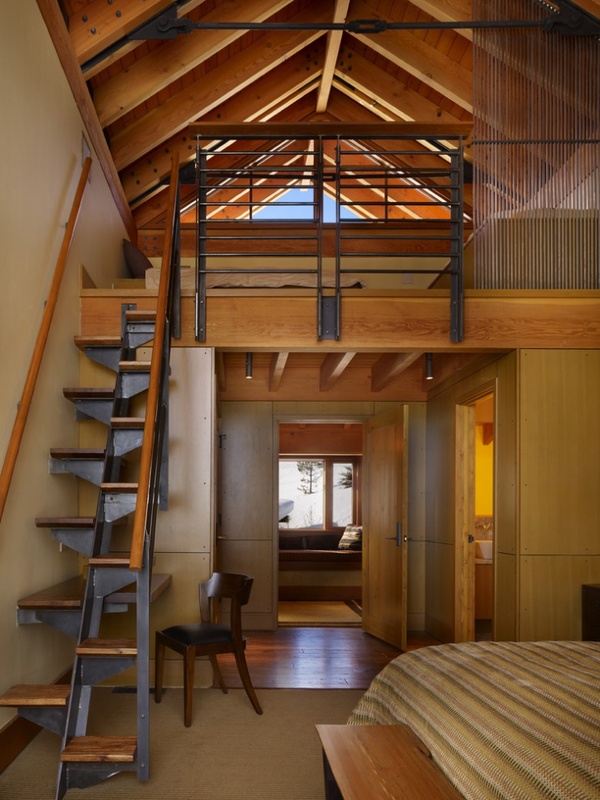 Moreover, the staircase does not occupy too much of space in the room. 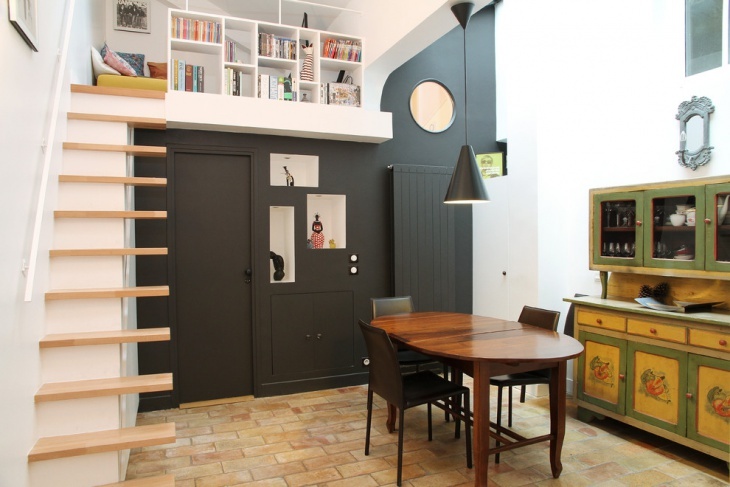 This is a modern loft staircase that is built with bookshelves in the corner. 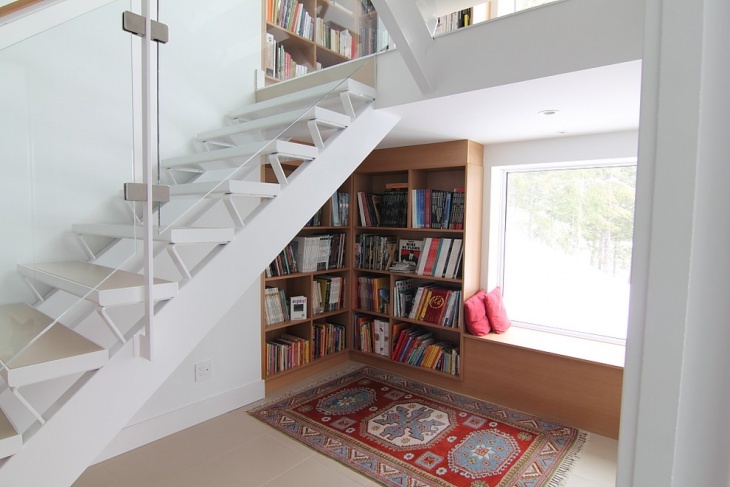 No doubt, a staircase is a great platform to utilize the space and create a neat and clean designed book space. 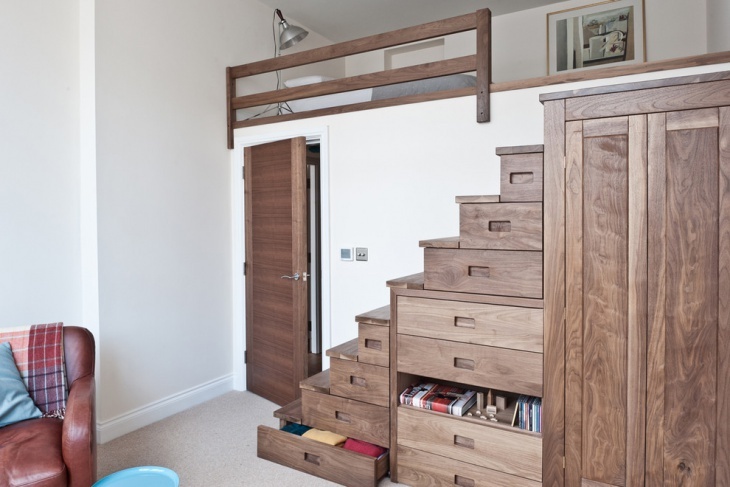 This staircase allows for plenty of storage space that normally goes unnoticed. 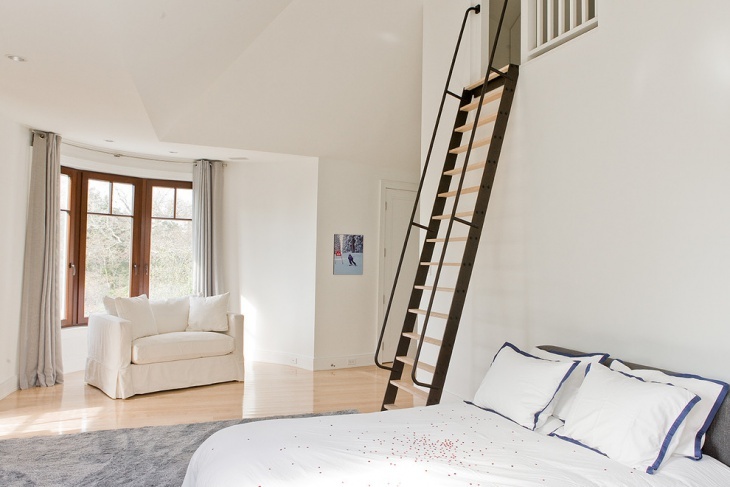 This is a simple loft ladder staircase simply put up inside the bedroom. The ladder is painted in dark brown and beige and connects to the upper portion of the room. This design is modular and flexible, which is perfectly suitable for this contemporary bedroom. This is yet another contemporary designed loft staircase which is compact and cozy, not taking up too much of space. The room features a brown sofa and all other living room essentials. The staircase design is ideal for a modern minimalist home. This is another rustic staircase with a storage utility space. 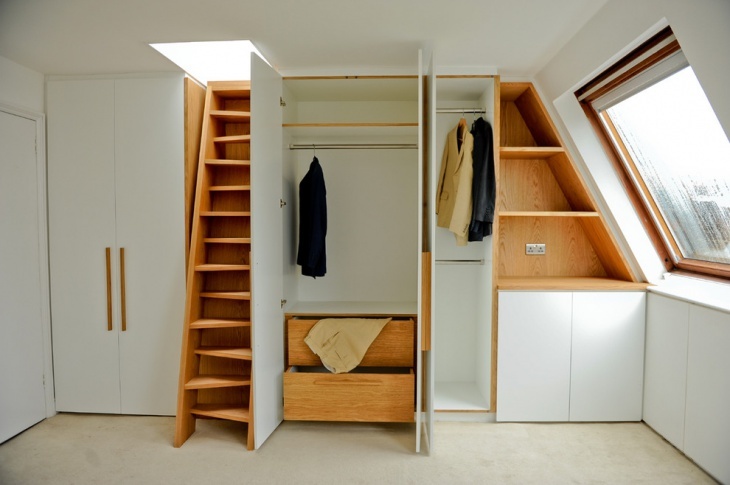 The staircase allows for a storage space which can be used as a cozy attic to put together all the unused stuff. The whites and beiges added in this rustic room add a touch of brightness. 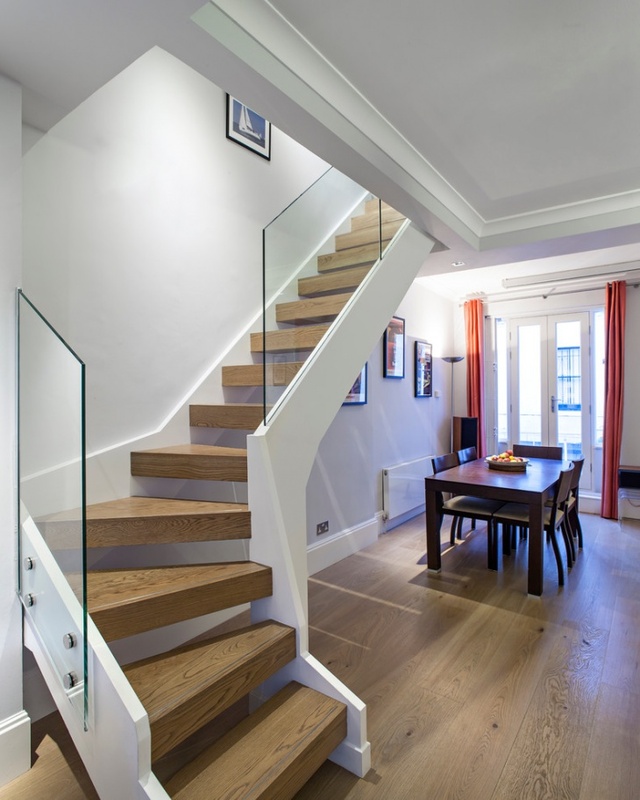 Loft staircase designs can be incorporated with a bit of a personal touch and design. 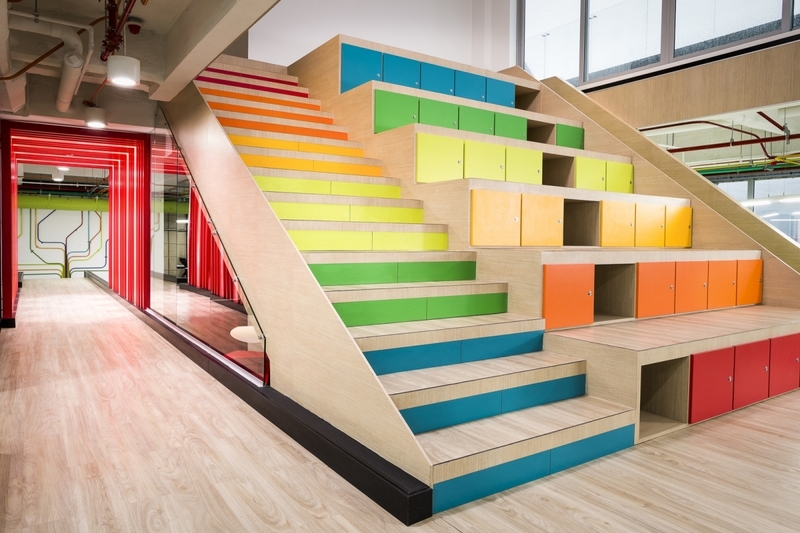 Compact staircases not only serve the purpose of connectivity but can also be used for storage.